Blogging is for young people. That was what I thought initially. 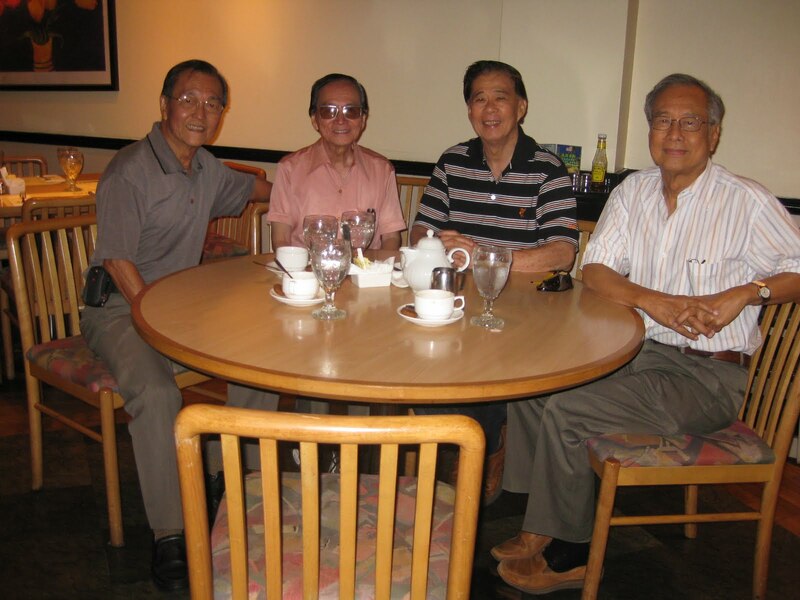 In fact most senior citizens are computer illiterate and senior bloggers formed a minor percentage in Singapore. Ivan my cousin encouraged me to blog and tell my own story. So, I started to blog on my golden years. They could be places down memory lane, lost relatives or people I once played with in my kampong and in schools. Such fond memories are nostalgic and I treasure them. Though I longed to see some of them again after so many years, but never in my wildest dream that my blogs could bring some of them to me. I consider them blogging dividends. First Dividend In 2007 an uncle who I did not know existed then chanced to see the Story of Chew Joo Chiat, my great grand-father, also his grand father. He wrote to me about Chew Joo Chiat's grave which I was told had been exhumed. As he was based in Shanghai then, he referred me to his eldest brother in Singapore for more info. 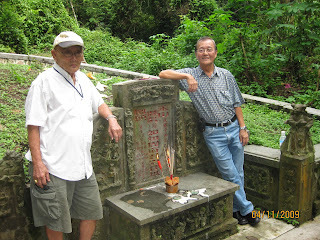 We met and at last year's Qing Ming, he and his son brought me and a cousin to Joo Chiat's grave at Bukit Brown. From the tombstone I learned that my great grand father had 5 children in all. That information together the new found relatives enable me to update Chew Joo Chiat's family tree. My uncle and his son whom I met for the first time last year. Second Dividend In March 2010 a young man saw my blog post 'Back to School'. He noticed that I and his dad were in the same academic year at Raffles Institution. He wrote to me to see if I knew his dad, HK Wong. I replied with a photo of class 1952 attached. We were classmates then. 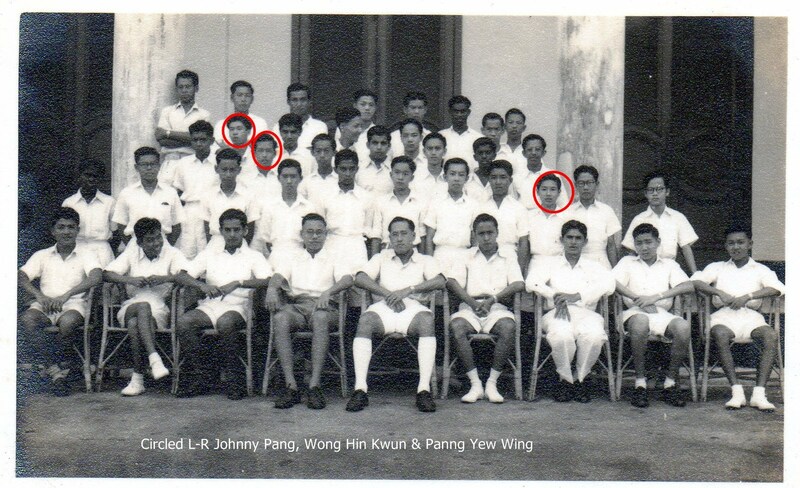 Later HK Wong contacted me to arrange for a meeting with another 2 classmates. 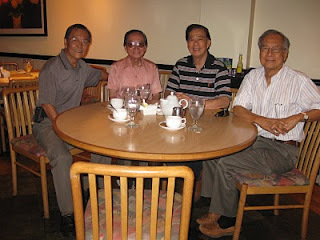 Last month four of us had a reunion lunch at Tanglin Club. I am very much encouraged by this and is now looking forward to a third blogging dividend. Yr 1952 photo, in which part of RI building was the building located? I can't quite place it. It was the annexe building at the junction of Bras Basah Road and North Bridge Road. The group photo was taken facing the school field. 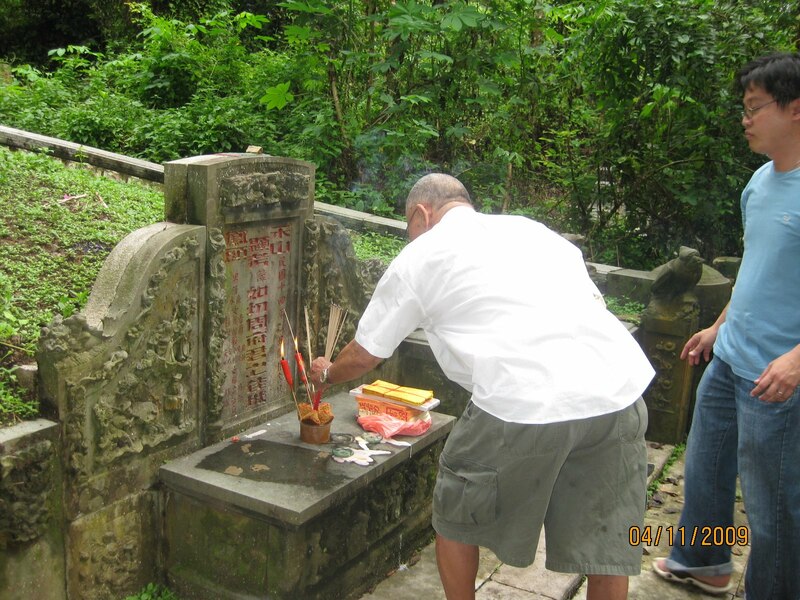 I'm currently doing an assignment for school that requires some knowledge on Singapore's past.